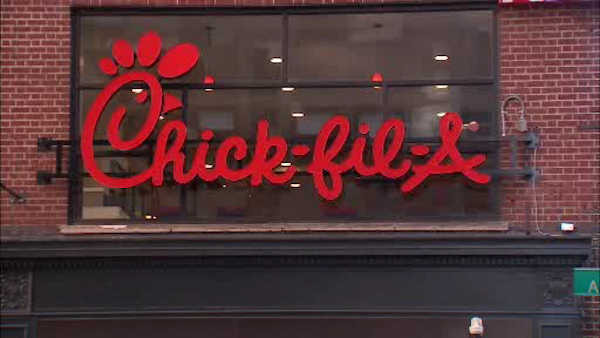 NEW YORK (WABC) -- A few months after its debut in New York City, Chick-fil-A at Herald Square is temporarily shut down to clean up after being cited in a health department inspection. Among the violations revealed in a Dec. 24th inspection were evidence of flies, food not being protected from contamination, and wiping cloths that were either dirty or not properly stored in sanitizing solution. The restaurant decided to voluntarily close its doors to address the issues and clean the restaurant. It plans to reopen Monday at 6:30 a.m. The restaurant on 6th Avenue between 37th and 38th Streets opened in October.